You are here: Home / Blog / The KLF are back! Back! BACK! I’m going to have to read that John Higgs book again. The cult appeal of The KLF escapes me. Musically, they had some thrilling moments, but then so did Jesus Jones, EMF and the Utah Saints. Other than that, their allure seems to be based on a series of pranks, most of them aimed at soft targets. The idea, as one of the commenters on that piece says, that they’re ‘needed’ now. Really? To do what? A very compelling point, Les! What indeed? Situation: There is a total dearth of post-modern self-publicising arses in the world. Solution: Bring back the KLF! Update to Situation: Actually, there’s not – in fact, would the KLF be up for designing a colossal skip and taking them all away to the Hebrides? Great records (in the main, by their own rare moments of honesty they admitted they had no idea what they were doing) but the tiresome student rag week bollicks that goes aside it just grates. I liked the one with Tammy Wynette, about an ice cream van or something. All bound for Mu Mu land…Justified and Ancient. I have to say that that record marked a turning point for me. It represents that point at which all bets were off and anything, no matter how weird, was possible. I loved the one with Tammy and the cornets too. A wonderfully bizarre pop moment. My curiosity is piqued. Fingers crossed they will manage an interesting moment or two more. They are unlikely to be dull. Are they going to burn some money again? Perhaps if they hadn’t (if they did) they wouldn’t be coming back now? I like a lot of their music. Absolutely LOVE two of their tracks. I don’t care at all about their stunts, past or present. “Just what we need in 2017”? FFS. Are you serious? Significant? Almost certainly not. So what? Which two, Mike? Build A Fire and Doctorin’ The Tardis would be mine. The two most obvious ones, I’m afraid. Your two are good shouts though. As are “3AM Eternal” and “Last Train To Trancentral”. Then of course there’s “It’s Grim Up North”. I often find a reason to post this – it’s one of my favourite things by anyone. My childhood involved many a trip up north to stay with relatives. The journey up the M1 seemed epic – involving two stops at the Services and those sweets you get in small circular tins. I loved the bit around Sheffield with the cooling towers. Arrival in Bradford was usually at night, cold and damp – and the areas where my relatives lived were, yes, pretty grim. As an adult, I did the trip again with my brother in his car. We did it in about three hours. I also realised that it’s actually a beautiful place. I think you may be confusing The North with, er, Scotland. Well, I was really only referring to Bradford, Haworth, Skipton and around t’moors. Can’t speak for the grimness or otherwise of the rest of the North. Even though I feel I have travelled quite a lot, I’ve somehow totally avoided Hull and Manchester. Having lived in Bradford for 4-5 years in the nineties, I can confirm that it is grim – rain everyday and the cobbled streets paved with broken glass (perfect for cycling). However, breaking out into the Calder Valley and/or the moors, I can also confirm it is beautiful. Both qualities I am sure responsible in some part for Ted Hughes, the Bröntes and the Leeds goth scene. If you are talking pre-mid 80s the area with the cooling towers in Sheffield looks a lot different now. The cooling towers came down a few years ago and almost all the steelworks disappeared under Maggie. The area is now dominated by a shopping centre, retail and entertainment parks. Provides a lot of employment for the locals, but not as much as were employed round that area a few decades ago. I do find the fact that their stunts never seem to work quite endearing. Does that mean Cauty is it’s Muttley? Who could be Penelope Pitstop? The 23 years* reporting embargo ends this year – they were bound to come back at some time. The basis of a philosophy, or fanciful nonsense? When Doctorin’ the House was released, the press adverts went with the schtick that the record was made by a car, Ford Timelord. That soon changed when it started going up the charts and they were offered a TOTP slot. “The outfit was acceptable by any theological and geometrical standards, however abstruse, and suggested a rich inner life.” – JK O’T. Aren’t they the ones who burned copies of “Liege & Lief”? Wankers. A mate of mine picked up on this last year was absolutely convinced it was the work of Bill and Jimmy that had somehow got lost in the ether (yet seemingly hardly anyone had noticed it’s release in spite of the existence of The Internet) -he even bought two copies of the FLK album on Discogs. I think the penny finally dropped when he heard the record. Here’s the culprit — The burning copies of Liege and Lief look suspiciously like 12″ pieces of cardboard with the sleeve artwork lazer-printed on so don’t worry Twang I don’t think any Folk-Rock classics were harmed in the making of this video. A CAFE has started playing Fairport Convention to encourage trendy young professionals to go away. Mary Fisher, owner of the Demon Bean in Kilburn, took desperate measures after an infestation of laptop-wielding ‘digital nomads’ threatened her business. She said: “They’d sit there, typing away, not buying anything. I had to take desperate measures, so I put on Liege & Lief by Fairport Convention, the one band it is not possible to like in an ironic way. Freelance digital marketer Francesca Johnson said: “It is impossible to do my job without feeling zeitgeisty, and beardy warbling about fields and blacksmiths is the least zeitgeisty thing on the planet. “If they got in some nomadic Tuareg synth players to beef it up a bit, I could get behind this. As it stands, it is everything I hate condensed into an earnest, six-minute stomp. “I bet everyone who likes this voted for Brexit. I found a copy of the FLK’s debut album We Know Where The Time Goes in a charity shop today for a quid. Seems it goes for a bit more than that elsewhere. 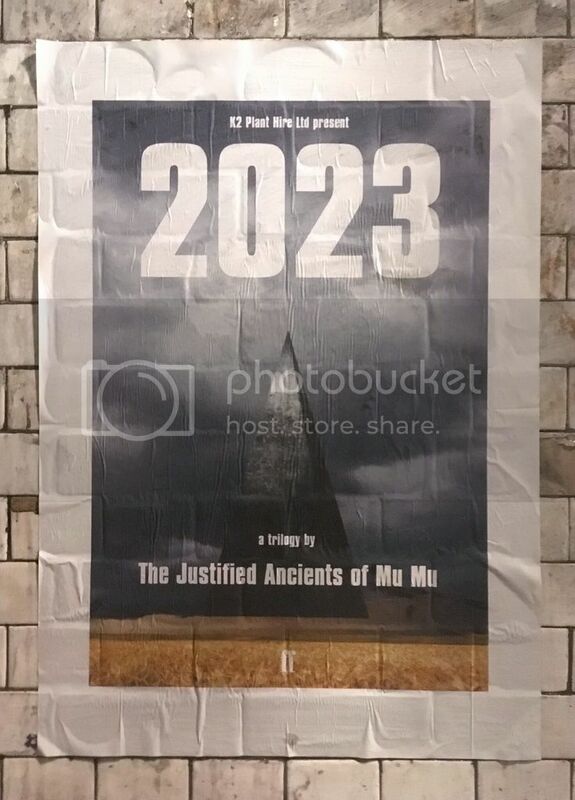 Love, love, love the KLF/JAMs/whatever, but I hope this return will involve actual, er, music, and not just be a prank and/or yet another version of What Time Is Love… still, would be good to have them back. Ah, you’ll be referring to the Recovered and Remastered series. Took a while for people to cotton on that they were not official releases. They are, however, fantastic, and sound really good. They got a ticking off about 2/3 of the way through the project, so the final discs were produced on a hush-hush basis to those who kept in touch with them. I have them all and would recommend them to any KLF fans if they pop up on eBay. The later ones won’t be cheap though. My favourite one is the reworking of the Chill Out album. I think it’s even better than the original. As for the re-emergence, it was always going to happen, as the 23 year embargo is coming to an end. They actually said they wouldn’t talk about the burning of the money for 23 years, so hopefully they have managed to work out why they did it. With regard to new music, and I say this as a KLF/JAMs and Drummond fanatic, my only wish is that anything they do adds to their body of work, rather than watering it down, like the F**k The Millenium single did. They’re not the kind to want to revisit the past, so I would imagine a remastering of their earlier work is unlikely, particularly the ones that got them in trouble for their liberal use of unauthorised samples, but a remastered White Room would be ruddy fantastic. Andrew Eldritch said at one point he would release a new album if Trump became US President. I think a collaboration between him and Drummond/Cauty might recharge the creative, leftfield batteries of all concerned – TS Eliot-sampling lyrics and KLF’s magpie music – if they could stand to be in the same room as each other, that is. Erm, Feb 22nd this year (unless I’ve missed it)? It was brilliant. They set fire to an effigy of Debbie Gibson and wrote ‘death to yuppies’ on the road in tiramisu, except they ran out of tiramisu before the end so it just said ‘death to yu’. Doesn’t matter, though, the point is it really shook me out of my torpor. I doubt that they’ll be invited to perform on stage…..
Magnificently unpredictable and bonkers. I do like the naff, bargain basement daleks in this TOTP clip. I seem to recall Bill Drummond stating, a few years back, that he was opposed to the concept of the recording of music. He said making it should be a one-off thing, never to be repeated or heard again. Last interview I read he was enthusing about community singing. For manifold reasons this website is suspended until further notice. For further information contact admin@penkilnburn.com. The Faber and Faber logo would suggest some sort of a publication, but wouldn’t put it beyond the japesters to persuade the House of TS Eliot to release some situationist pop-rave. 23rd August release date according to the FF website. It looks to be a retelling of the illuminatus trilogy in their own words from what I can gather.